This week MATTHEW ROSSI is with us again!! We had a great time talking about gearing in BAzeroth, and a lot of random stuff too. Next week: We’re flying solo but we’re talking about the mistakes we alllllll made when we started WoW. How long did you play without talents? What’s your best screw up from not understanding the game? Tell us! Girls gone WoW 119: Mr wow encyclopaedia! How was our week in WoW? Plug for our website: www.girlsgonewow.net and we are now part of the Voice of Geeks (vog) Network. You can listen to our show on Warcraft Wednesdays. You can find us at vognetwork.com where you can also find other great shows like Orange Lounge Radio, Hordehouse and Podculture. New segment: if you want to promote your guild or looking for recruitment or if you are looking for a guild, send us a voicemail and we shall play this on the show! We need guests!!! Send us an e-mail or a tweet if you want to be on our show! We’d love to get some of our old guests back too! Website: www.girlsgonewow.net there’s a shiny donate button. We are available on Itunes (please leave us a review) and Stitcher radio! Show 120: Facelift time! We chat about the new character models that have been revealed and what we want from the ones that haven’t been shown yet. Girls gone WoW 119: Mr wow encyclopaedia! Download! I’ve been a raider since vanilla. 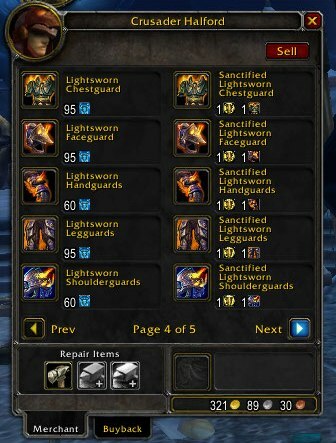 You got the best gear with either pvp or raiding back then and I can still remember that a large group of my raidteam that was geared up in Blackwing lair gear could easily dominate a battleground. I hear a lot of old school raiders complain about the badges. “It’s too easy to get gear,” “the game is being made too easy”, things like that. I don’t think that’s entirely true. Most gear that you get from ICC is better than the gear you get from badges. So raiding is again ‘worth more’ then the badges. I actually see it as an opportunity to be more flexible with your spec. Let me explain, I’m a druid and as most wow-players know, druids have different roles. I’ve been a healer/moonkin for years. At the raids my guild runs now, I’m always a resto. I will not roll on moonkin or feral gear if someone else can use it for their main spec. Now at times that can be a bit frustrating (believe me, questing in resto spec, not fun) and sometimes you just want to run around in a different spec and experience the game from that point of view. My guild wouldn’t take me as anything but a resto since my gear for other specs is just not good enough for ICC. That’s where badges come in, you can get some good gear from them and it gives you the chance to chance your spec and joining in raids if you wanted to without people screaming: too low gearscore! (Not that my guildies would do that, but I do not want to feel like I’m being carried). So, yeah I can see why people are a bit upset about getting gear with badges, but there are a lot of good points about having them too. I’m perfectly fine with badges in the game. If a player is bad, he will always be bad. Gear does not solve that.